TRAFFiC EXPERiMENT are a UK-based independent progressive art rock band, combining elements of progressive rock, electronic, funk and acoustic with experimental soundscapes, instrumentals and sound effects to create their own brand of cinematic rock music. 06 by guitarist/vocalist and composer Stuart Chalmers, session drummer Tom Vincent and SiW bassist Simon James White, Traffic Experiment (named after a temporary road sign in the band’s hometown of Guildford) recorded their first full album, Blue Suburbia, at Woodworm Studios in the rural countryside of Oxfordshire, a converted chapel and formerly the private studio of folk band Fairport Convention. 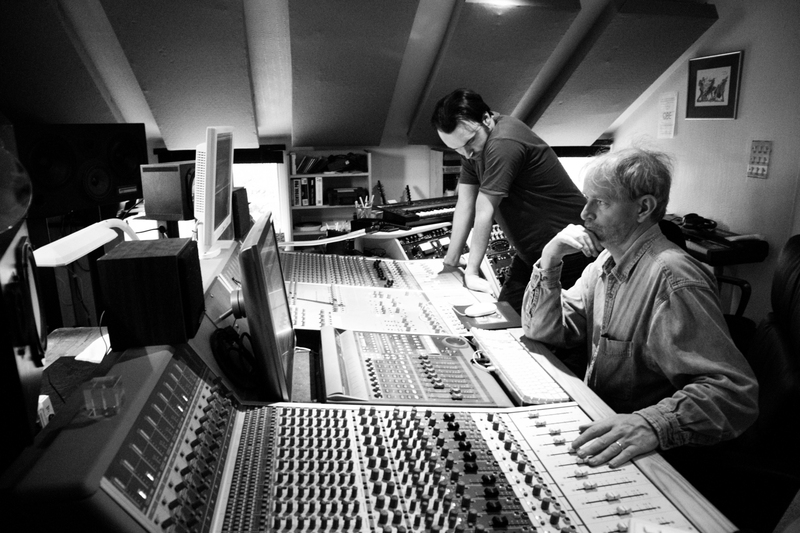 Chalmers, an astrophysics graduate, had written and demoed the album in full at home in 2005 and, having recruited Vincent and White (former students of the Academy of Contemporary Music and the London Music School respectively), set about recording what would prove to be a fairly complex 11-track album. 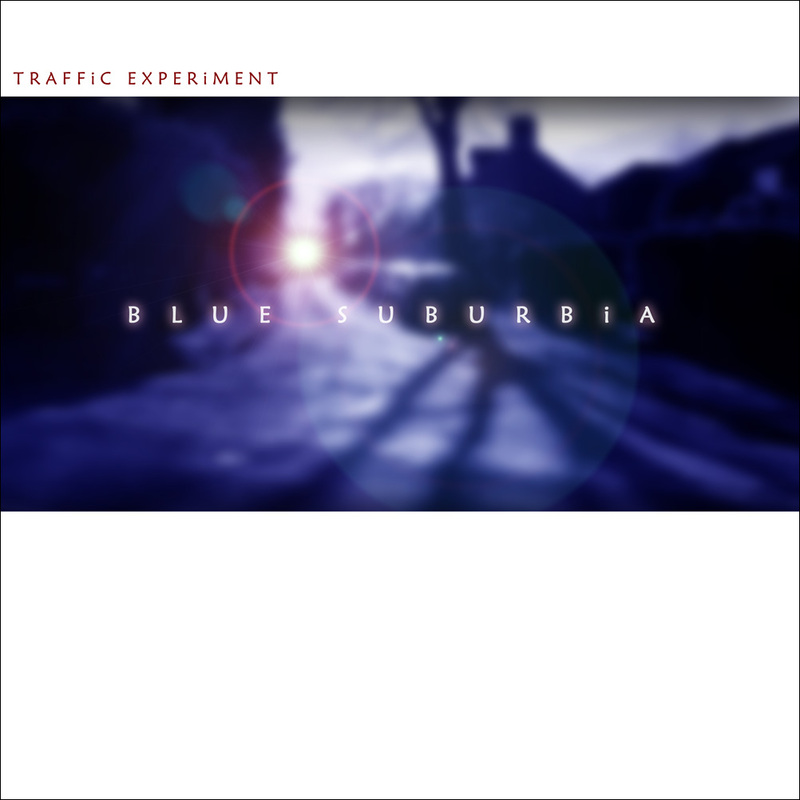 As a result of doing everything for themselves, including designing the artwork, setting up their own label, funding and producing the project, Blue Suburbia took Traffic Experiment four years to complete. With its recurring musical and lyrical themes, accompanying visuals, extended soundscapes, and no radio-friendly singles, the album was created as a work to be listened to in its entirety, with the band painstakingly layering their multiple parts and crafting each track so it would segue seamlessly into the next. To add a further dimension, the album was peppered with sound effects and featured the ‘sped up sound of the Big Bang’, spinning clocks and guitars (with band members twirling around in the studio wearing binaural ear mics), the BBC Radio 4 pips and Once More (with feeling) opening with a cheap monophonic ringto ne of its main refrain, amongst many others. The album also featured the soaring ambient vocals of Harri Norris, only seventeen when recording her parts, as well as a small string section consisting of a single cellist and violinist, recorded over and over to build up the sound. Produced by Stuart Chalmers, engineered by Steve Hill and mastered by Pink Floyd's Andy Jackson, Blue Suburbia was released in 2010 on the band's own self-titled label, Traffic Experiment Music. Traffic Experiment were back in the studio in 2011 with producer George Shilling (Blur, Bernard Butler, Porcupine Tree, Stornoway), creating a reworking of the classic Doctor Who theme. Named after a flesh-eating shadow from the TV series, Vashta Nerada [Doctor Wh o Theme] was released on New Year’s Eve 2011. On 21st December, a date that attracted many end-of-the-world prophecies, the original members headed to Steve Winwood’s fantastically atmospheric studio with a full 8-piece band to record and film a live session of tracks from Blue Suburbia. The resulting film, Traffic Experiment - [Live at the End of the World], was released on Blu-ray and DVD, along with a release of Blue Suburbia [Special Edition], including the Blu-ray, on 21st June 2013. The band released the vinyl-only Vashta Nerada [Doctor Who Theme] Collector’s Edition to coincide with the classic British sci-fi show’s 50th anniversary on November 23rd 2013 and fea tured as the house band on BBC3’s Doctor Who Live Afterparty to perform sections from the track on the day to an audience of around 1.5 million. They are currently busy writing a follow-up to 2010’s Blue Suburbia, working on a short film (for which they’ve recorded a version of David Bowie’s Space Oddity) and preparing live shows for 2015.